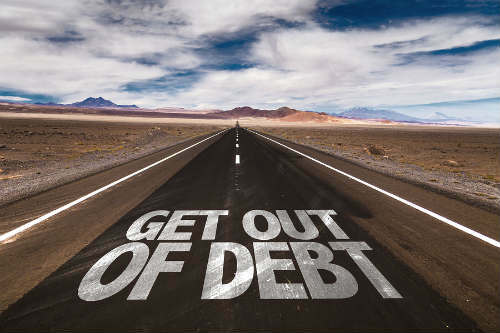 If you’ve resolved to improve your finances in 2016, now is a great time to do a debt detox. Many people are still in their holiday debt hangover, so the beginning of the year gives you a good opportunity, and a good reason, to get back on track financially. 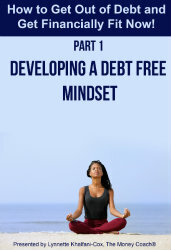 If you want to get out of debt, save more money – and become healthier too – try my easy, 5-step debt detox. I shared this plan with viewers of The Dr. Oz Show – and it can help you too. This debt detox plan is a 7-day jumpstart to your financial success. Just like a food detox can jumpstart weight loss and help you start eating healthier, this plan gives you better money habits to help you start spending healthier. At the end of the 7 days, you will be on the road to better money management, learning how to spend your money the right way to not only get out of debt now but prevent debt in the future. Just like people who keep daily food journals lose twice as much weight, people who track their spending have less debt. So the first step is to write down everything – and I mean everything – that you’re spending money on each day: from filling your car with gas or buying a train ticket, to buying a coffee or going out to dinner. You need to see where your money actually goes. By the way, back in 2001, I was deep in debt. So I took this process one step further. Not only did I write down my spending, I also wrote down all of my debts. As it turned out, I had a whopping $100,000 in credit card bills! Fortunately, I was able to pay them all off, in three years, without ever missing a single payment. And then I wrote a book about how to jumpstart one’s finances, called Zero Debt: The Ultimate Guide to Financial Freedom. 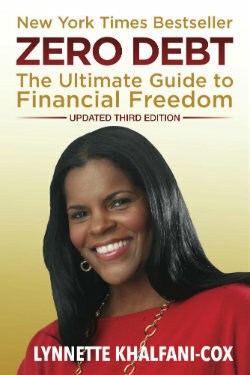 More recently, I also created a four-part webinar series, Get Out of Debt and Get Financially Fit Now. So I know that if I could get out of debt, anyone can! But back to the spending journal … here’s what to do with it. Highlight everything that is not an essential expense. Your mortgage or rent, your car payment and utilities; those are all essential bills that must be paid. I mean highlight the other stuff – like that latte, even if it can feel essential at 3pm! Then pick 3 items from the highlighted list – and cross them off. You will eliminate them for one week! Just like you eliminate sugar and dairy on a food detox, you’re eliminating some of your habitual spending. For most people, this single step will save hundreds if not thousands of dollars. For instance, assume you eat out for lunch three times a week and you spend an average of $10 each time. If you can eliminate two of those weekly lunchtime trips, you’ll save $20 a week, or $80 a month. Keep it up for a full 12 months and you’ll save $960. That’s nearly a thousand bucks that can go towards wiping out your debt or saving for some other important goal! Now imagine doing that for three items that you eliminate – and the savings is even greater! Even if you go on a diet detox, it’s not a smart idea to starve yourself. By the same token, I don’t want you to starve yourself when detoxing debt. So take it slowly and make your change happen gradually. That’s the way to promote sustainable, long-lasting change. Not one dollar. No morning coffee, no stopping to buy some gum, no going into your wallet for anything. You can prove to yourself that this can be done. It’s jolt to your system, but it can be a wakeup call for people who are addicted to spending. It’s also giving yourself a little extra padding. Saving for one day will put extra cash in your pocket. Besides, if you can actually make it through one day, you will see how doable it is to cut back on unnecessary spending! This part of the process is crucial. It’s going to give you more discipline, keep your budget in check and boost our physical well being as well. Think about it: when you’re out to dinner, the tendency is to order a lot of stuff you don’t really need, like that extra drink, the high-fat appetizer or the calorie-laden dessert. Plus, eating at home is not only the only healthier, it’s also better for your wallet. If you cook, you actually save more because you can likely get multiple meals out of your at-home cooking, instead of just of one meal. For example, say you make a roasted chicken with veggies one day. The next day ou can add brown rice and make a stir-fry. The following day you can turn it into a soup with chicken broth … cooking at home is literally stretching your dollar! Many of us fall into debt because we haven’t learned to control our impulses. We’ve forgotten about how to exercise delayed gratification, especially with credit cards in our wallets, purses, and right at our disposal. So one solution to eliminate credit card temptation is to carry only cash. This way, if the money is not in your wallet, you simply can’t buy an item. Some people suggest cutting up your credit cards and throwing them away. I don’t agree with that strategy since the problem isn’t the credit cards – the problem is that we often lack self-control! If that sounds like you, try to freeze your spending. In some instances, people have literally “frozen” their credit cards by putting them in a freezer where they don’t have immediate access. This gives you a “cooling off” period if you’re an impulse shopper. This will create immediate accountability and what may surprise you – support. You know people stick to diets better with a buddy? Well, you’re more likely to stick to a budget with a buddy too! For many people this is harder than you might think because of the shame we associate with money problems. We don’t talk about money if we have a lot of it – and we definitely don’t discuss if we’re broke! Finally, just like a food detox reintroduces you back to normal eating, I want to introduce you back to spending… but on a budget. – These are bills and expenses that don’t vary much from month to month. – Keep these costs to a maximum of 50% of your take-home pay. – These are day-to-day expenses that can vary from month to month, like food, shopping, and entertainment. Following these five steps will get you out of debt and increase your health too!